Caroline Walker's ambitious and compelling large-scale paintings of refugee women in London. In collaboration with the charity Women for Refugee Women, Caroline Walker met and photographed five women living in temporary accommodation, before making paintings of each in her studio. The warmth with which she depicts the women contrasts with the potential isolation and latent anxiety of their situations. Their lives might be safer, but they are in exile from their families, friends and the homes they left behind. 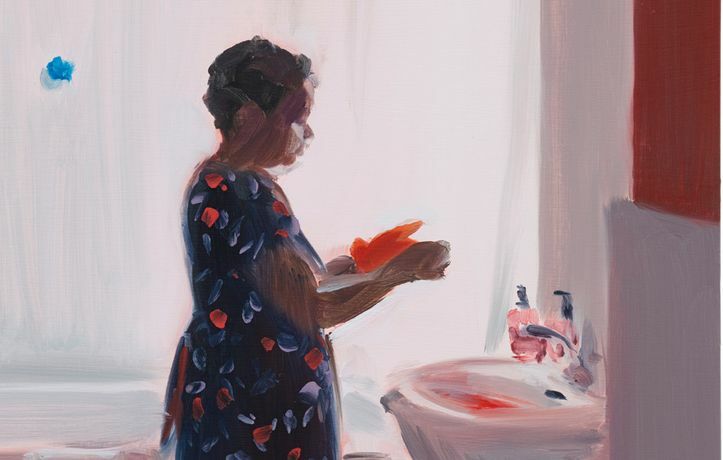 These quietly intense paintings draw our attention to those invisibly living among us whom ‘home’ seems a dream that is constantly deferred. A Kettle’s Yard touring exhibition brought to Art Exchange in collaboration with the University of Essex’s Centre for Migration Studies.